While not a common practice yet, it is possible to sideload apps in Windows 10. Primarily, this feature is useful to developers, but also to anyone else that wants to install an app not available in the Windows Store. In Windows 8 and 8.1, it is only possible to install Metro/Modern apps from the Windows Store. 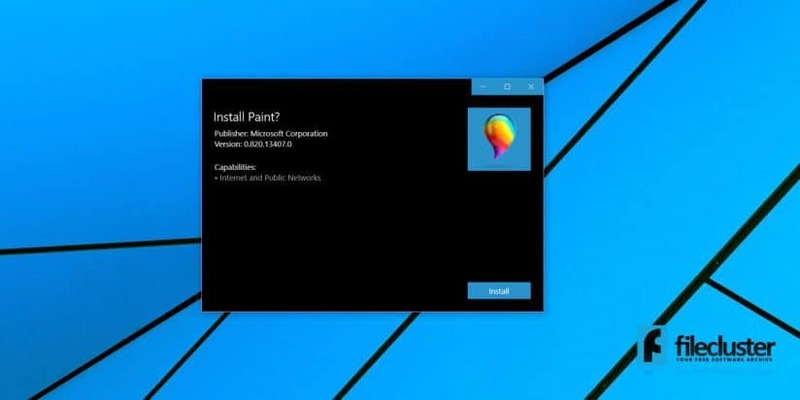 Luckily, things are more flexible in Windows 10, which lets us install an app using its APPX package. 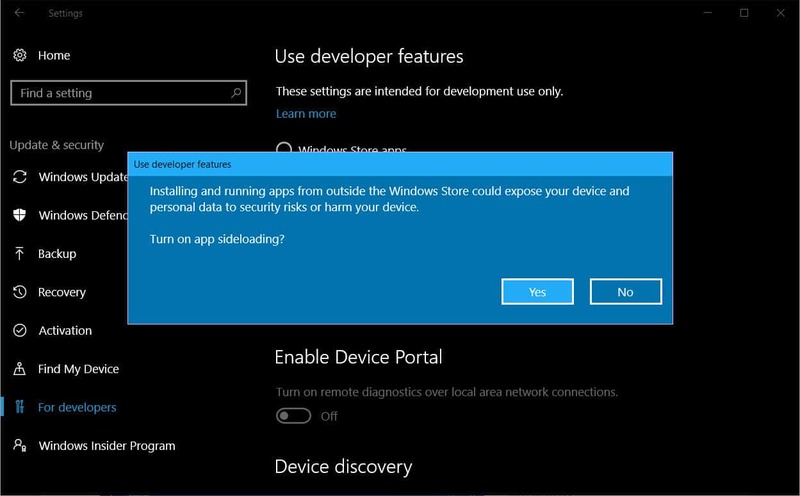 To sideload apps on Windows 10, you will need to enable an option in Settings. Then, we’ll go through the steps needed to install the APPX package. Go to Settings -> Update & security -> For developers. 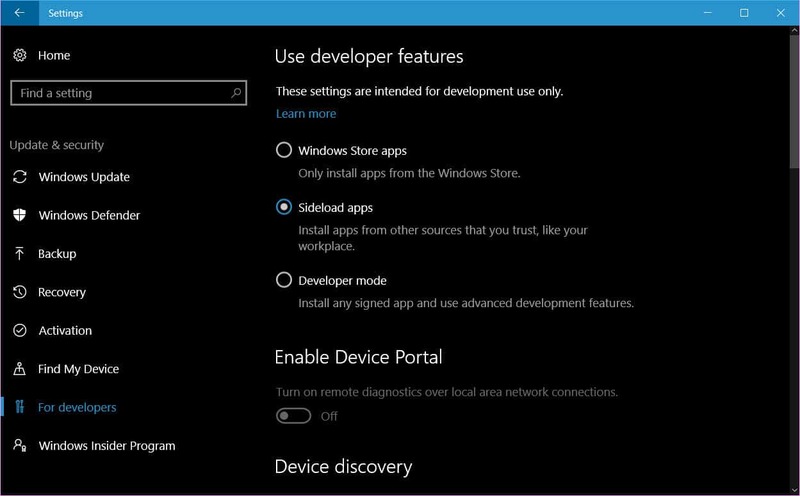 Now enable the “Sideload apps” option. Click Yes on the next prompt. Now that you enabled the “Sideload apps” option it’s time to install the APPX file or an app. For this tutorial, we’re using the recently leaked new and revamped Paint app. If you don’t currently have an APPX package available, you can download it from the link below. Double click the APPX file and click on “Install” when prompted. Then, follow the steps provided by the wizard. If this doesn’t work, try the next method using PowerShell. From the folder containing the APPX file, go to File -> Open Powershell in Explorer. Then, type the following command and press Enter.